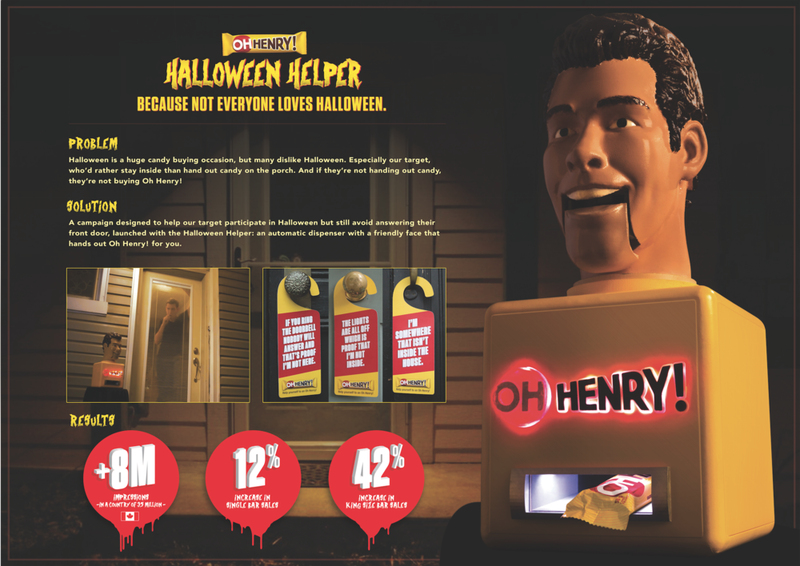 Brands conventionally celebrate handing out candy to trick-or-treaters. But many people avoid or even dislike Halloween. Especially our millennial target, who would rather stay inside and watch Netflix than answer the door for strangers all night. That’s why we created the Oh Henry! Halloween Helper. It’s a combination candy bar dispenser/human head that stands in for you, so you can participate in Halloween while completely avoiding your front porch. 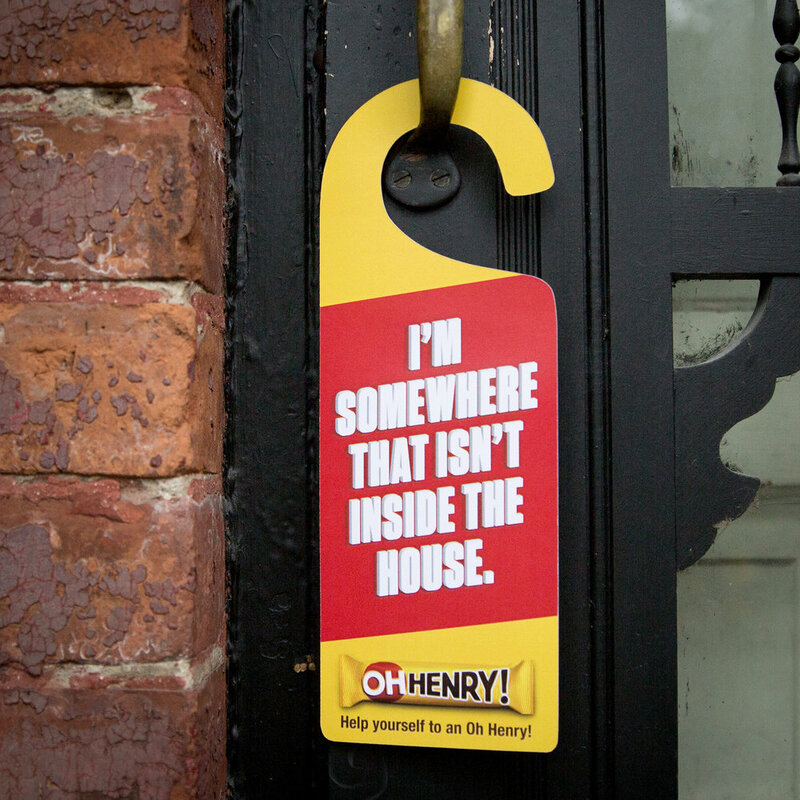 Key neighbourhoods received door hangers and a supply of Oh Henry! for Halloween night.